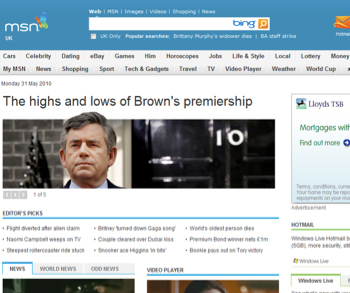 MSN UK, Microsoft’s news and entertainment portal is set to relaunch at 8.30pm tonight UK time. 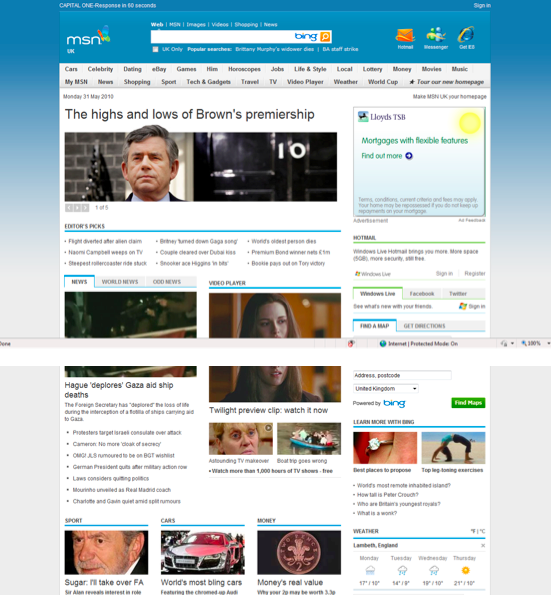 While it may have disappeared from your radar years ago, the 15 year-old site attracts 20.6 million unique users per month and reaches a reported 62 percent of the UK’s broadband users. The new design is reportedly faster to download, adds more video content, more news and adds access to Facebook and Twitter as well as Microsoft services such asHotmail and Windows Live. Make no mistake, this isn’t a site for geeks – it’s a mainstream, functional site and its continual success shows that as unfashionable as they may be, portals are still hugely popular. Here’s what the site will look like from 8.30 tonight. In case you were wondering, the weird break in the screenshot is exactly as it was sent to us, frustratingly embedded in a .docx file.